Surrey could be the northern terminus of the proposed ultra-high-speed rail line connecting Metro Vancouver with Seattle, Portland, and other communities in between. Planning work for the unfunded ultra-high-speed rail line is still in the very preliminary stages, but an early feasibility study completed in 2017 outlined one option of placing Metro Vancouver’s station — the line’s northern terminus — next to SkyTrain’s King George Station. The other options entailed terminus stations located at Pacific Central Station on the outskirts of downtown Vancouver or Vancouver International Airport. Pacific Central Station is currently the terminus station for VIA Rail, Amtrak, and various long-haul bus services. Significant construction costs would likely be incurred for either of these terminus options, considering the significant tunnelling or elevated guideways — including a crossing over the Fraser River — required to reach the airport and especially Vancouver’s city centre. Early construction cost estimates peg the project’s various route options at between USD$24 billion and USD$42 billion, with the majority of that cost allocated to the south of the border. 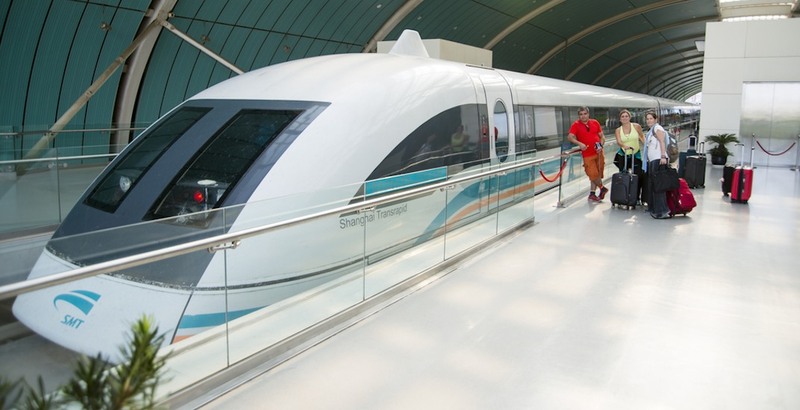 The route options vary in length between 435 km and 475 km, using maglev technology with trains running at speeds of 400 km/h — potentially connecting Vancouver with Seattle in just one hour. Trains with a 500 passenger capacity would run 12 daily roundtrips. However, based on the early study, this Surrey option’s estimated annual ridership of 1.46 million annual boardings upon opening in 2035 brings the lowest ridership potential — a slightly lower ridership of between 200,000 and 250,000 less annual boardings than the options of a terminus located at the airport or Pacific Central Station. Between 13% and 17% of all trips along the full corridor from Metro Vancouver to Portland could be made on the train upon completion in 2035. The study stated that about 50% of the ridership will come from the Portland-Seattle portion of the route while Metro Vancouver-Seattle will make up 25% of the total, with the remaining station pairs making up for the final 25% of ridership. Over the decade-long construction period and the first 21-year operating period, it is estimated the rail line could generate anywhere from 157,200 to 201,200 average jobs per year, USD$242 billion to USD$316 billion in labour income, USD$621 billion to USD$827 billion in business output, and USD$308 billion to USD$399 billion in value added. Placing the northern terminus station next to the Expo Line’s King George Station would particularly be highly beneficial to downtown Surrey. It would provide the emerging city centre with a significant catalyst for transformative economic development — especially when coupled with the growing regional SkyTrain network that provides the region with ease of access to the high-speed rail station. 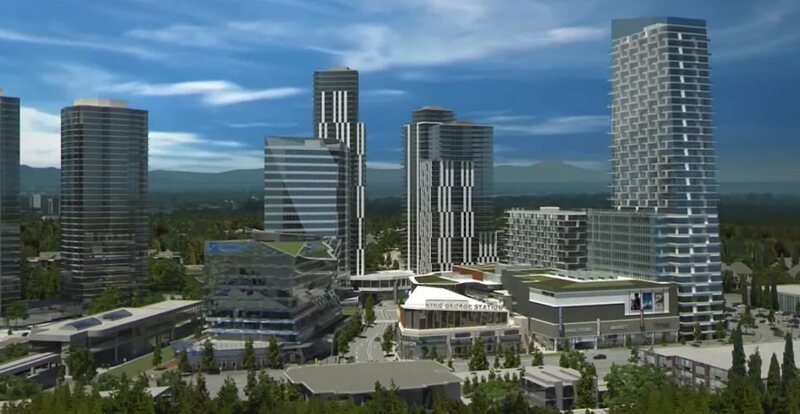 “The Surrey Board of Trade would welcome a terminus station in Surrey for the proposed Vancouver-Seattle high-speed rail,” Anita Huberman, CEO of the Surrey Board of Trade, told Daily Hive. Horgan also made an announcement yesterday that the provincial government would increase its high-speed rail study funding from CAD$300,000 to CAD$600,000 for a new phase of planning work being conducted in partnership with the state governments of Washington and Oregon.